Hawaii has a problem, one that the whole world is likely to face in the next 10 years. And the solution could be a metal that you've probably never heard of - vanadium. Hawaii's problem is too much sunshine - or rather, too much solar power feeding into its electricity grid. Generating electricity in the remote US state has always been painful. With no fossil fuel deposits of its own, it has to get oil and coal shipped half-way across the Pacific. That makes electricity in Hawaii very, very expensive - more than three times the US average - and it is the reason why 10% and counting of the islands' residents have decided to stick solar panels on their roof. The problem is that all this new sun-powered electricity is coming at the wrong place and at the wrong time of day. Hawaii's electricity monopoly, Heco, fears parts of the grid could become dangerously swamped by a glut of mid-day power, and so last year it began refusing to hook up the newly-purchased panels of residents in some areas. And it isn't just Hawaii. 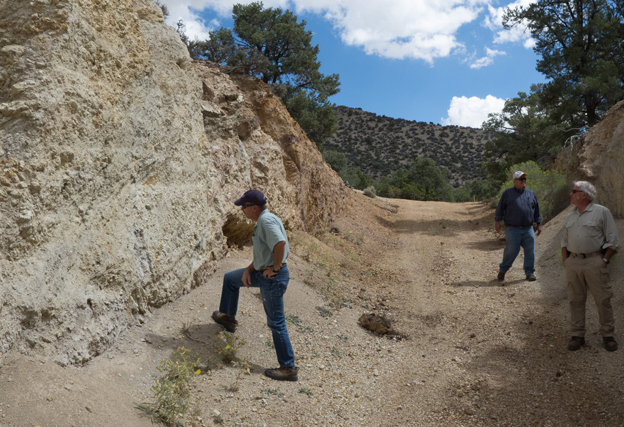 "California's got a major problem," says Bill Radvak, the Canadian head of American Vanadium, America's only vanadium mining company. "The amount of solar that's coming on-stream is just truly remarkable, but it all hits the system between noon and 4pm." That does not marry well with peak demand for electricity, which generally comes in the late afternoon and evening, when everyone travels home, turns on the lights, heating or air conditioning, boils the kettle, bungs dinner in the microwave, and so on. What the Golden State needs is some way of storing the energy for a few hours every afternoon until it is needed. And Radvak thinks he holds the solution - an electrochemical solution that exploits the special properties of vanadium. "Steel mills love it," says Radvak. "They take a bar of vanadium, throw it in the mix. At the end of the day they can keep the same strength of the metal, but use 30% less." It also makes steel tools more resilient. If the name vanadium is vaguely familiar to you, it is probably because you have seen it embossed on the side of a spanner. And because vanadium steel retains its hardness at high temperatures, it is used in drill bits, circular saws, engine turbines and other moving parts that generate a lot of heat. So steel accounts for perhaps 90% of demand for the metal. Vanadium's alloying properties have been known about for well over a century. 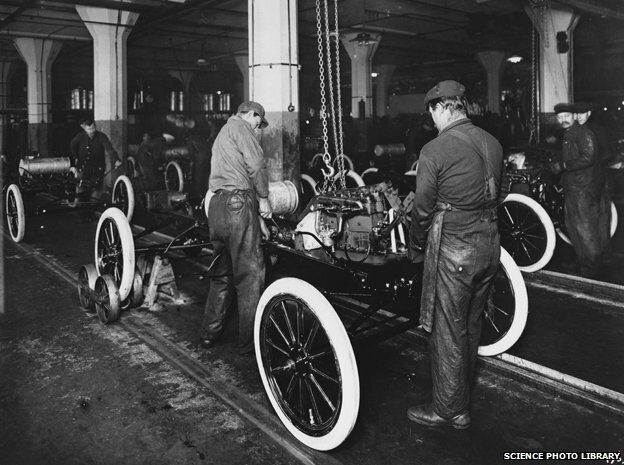 Henry Ford used it in 1908 to make the body of his Model T stronger and lighter. For the same reasons - and also for its heat resistance - it was used to make portable artillery pieces and body armour in the First World War. But vanadium's history seemingly goes back even further. Indeed, mankind may have been unwittingly exploiting the metal as far back as the 3rd Century BC. 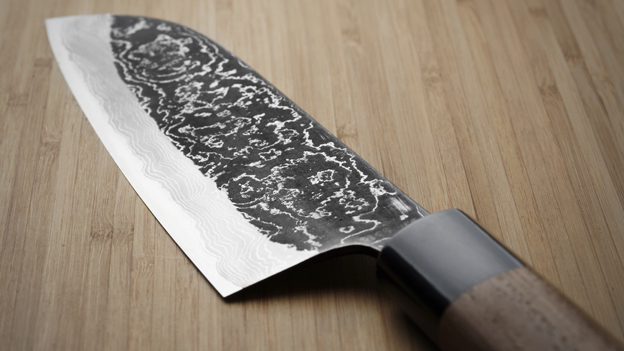 That is when "Damascus steel" first began to be manufactured. 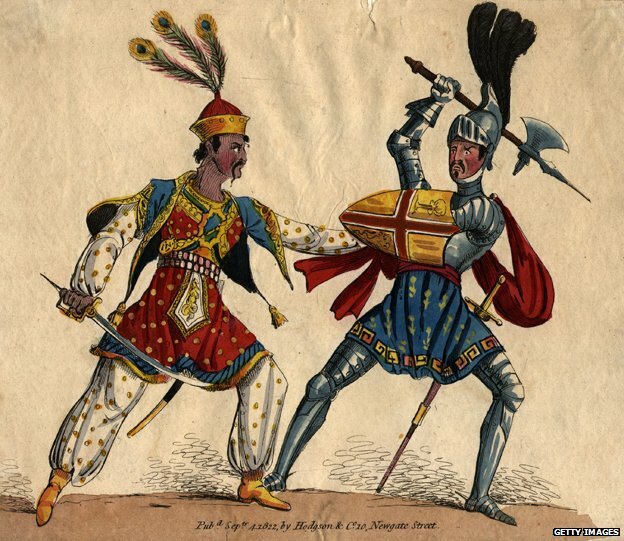 Swords made of the steel were said to be so sharp that a hair would split if it were dropped on to the blade. Damascus steel scimitars were credited with enabling Muslim warriors to fight off the Crusades. Samples taken from a handful of antiques were found to contain tiny amounts of impurities, including - crucially - vanadium. Bizarrely, this two-millennium-old steel-making tradition vanished in the mid-18th Century. The vanadium-rich iron deposits in southern India from which the steel was fashioned must finally have become exhausted, or so the theory goes. Today, vanadium mainly goes into structural steel, such as in bridges and the "rebar" used to reinforce concrete. China - which is midway through the longest and biggest construction boom in history - also dominates demand. A recent decision by Beijing to stop using low-quality steel rebar has bumped up forecast demand for vanadium by 40%. Yet the biggest source of future demand may have nothing to do with steel at all, and may instead exploit vanadium's unusual electro-chemical nature. 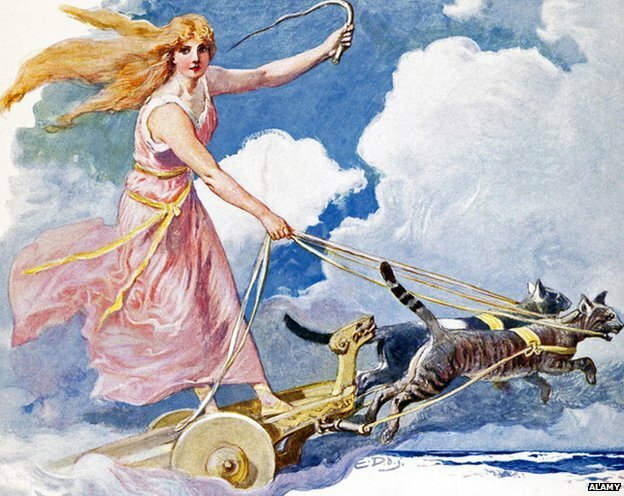 "Vanadium was actually discovered twice, and one of the discoverers was the Swedish chemist Nils Sefstrom, who named it after the Norse goddess of beauty, Vanadis," says the Italian chemist, Prof Andrea Sella of University College London. To explain why, Sella produces a flask of an easily misidentified yellow-coloured liquid. He then adds a shiny lump of a zinc-mercury amalgam and begins to shake the concoction violently. 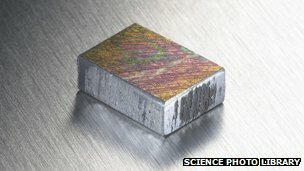 "The zinc is going to allow us to put electrons back onto the vanadium - the chemical process we call 'reduction'," he explains. The solution quickly turns green, and then gradually becomes blue. "And if we keep shaking for another few minutes, we will eventually end up with a violet colour." Each change of colour represents one further electron being passed on to the vanadium. "The ease with which you can hand electrons to the vanadium and take them away - this is the basis of a very, very stable battery." Vanadium "redox flow" batteries are indeed stable. They can be discharged and recharged 20,000 times without much loss of performance, and are thought to last decades (they have not been around long enough for this to have been demonstrated in practice). They can also be enormous, and - in large part thanks to their vanadium content - expensive. 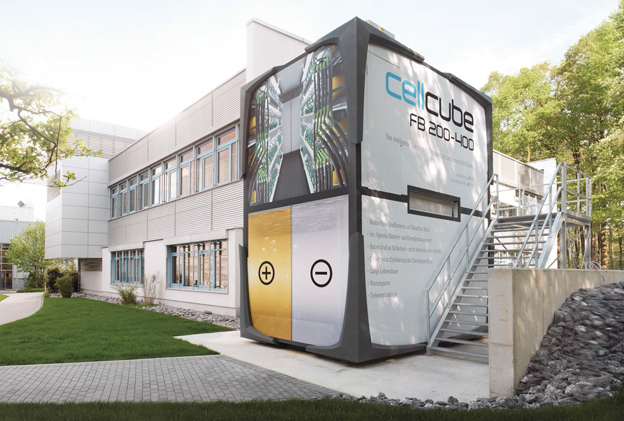 The smallest of the "Cellcube" batteries that American Vanadium is producing in partnership with German engineering firm Gildemeister has a footprint the size of a parking bay and costs $100,000. How does a Vanadium Redox Flow Battery work? His firm is providing the batteries' key ingredient, the electrolyte (the fluid in the battery). It is the same chemical solution as in Sella's demonstration, and - conveniently enough - is also the end-product of the standard process of using sulphuric acid to leach the vanadium out of its ore.
Radvak says that among his target customers are large corporate electricity consumers such as the Metropolitan Transport Authority, which runs New York's subway, and with whom his firm has just signed a pilot deal to supply Cellcube batteries. Such companies are facing ever higher charges for the electricity they use during the peak hours of the day, and the Canadian claims they can cut their bills by a quarter if they use a battery to draw down the daytime electricity they need during the night, when it is cheapest. By flattening out demand between the daily peaks and troughs, the batteries also help out the electricity companies. One of their biggest expenses is investing in the extra power station capacity that is only ever called upon for a few hours each year when the weather, holidays and the time of day all conspire to produce the biggest peak in electricity demand. That challenge of balancing electricity supply and demand is set to get a whole lot more difficult as ever more solar and wind energy is added to the grid. Which brings us back to Hawaii. Rooftop solar panels don't just produce electricity at the "wrong" time of day, they also produce it at a low voltage, which, according to the German renewable energy entrepreneur Alexander Voigt, means it is effectively trapped at the level of the local community. "Our traditional electricity grid is built in a way that the energy flows from the high voltage to the low voltage, and not the other way round," he says. That means the solar energy can only be shared among the few households - typically just a village or a town neighbourhood - that happen to share the same transformer station that plugs them into the high-voltage national grid. Voigt helped set up the vanadium battery company that was later bought up by Gildemeister. He foresees the batteries being built next to transformers, where they can store up each community's daily solar surplus, before releasing it back again in the evening. It is a rosy image, but it does prompt two obvious questions. First, why should vanadium batteries be the technology of choice? For example, there is a glut of cheap lithium batteries these days, after manufacturers built out their capacity heavily in anticipation of a hybrid and electric cars boom that has yet to arrive. Lithium batteries can deliver a lot of power very quickly, which is great if you need to balance sudden unexpected fluctuations - as may be caused by passing clouds for solar, or a passing gale for wind. But a lithium battery cannot be recharged even a tenth as many times as a vanadium battery - it's likely to die after 1,000 or 2,000 recharges. Nor can lithium batteries scale up to the size needed to store an entire community's energy for several hours. By contrast, vanadium batteries can be made to store more energy simply by adding bigger tanks of electrolyte. They can then release it at a sedate pace, unlike conventional batteries, where greater storage generally means greater power. At the other end of the scale, there are also plenty of large-scale energy storage systems under development, such as those exploiting liquefied air, and the 1,000-fold shrinkage in the volume of the air when it is cooled to -200C. But these systems take up a lot of space, Mr Voigt says, and are better suited to the very largest-scale facilities that will be needed to serve for instance a large offshore wind farm plugging into the high-voltage national grid. The immediate challenge is that the birth of the vanadium battery business is coming just as China is ramping up its demand for vanadium steel. But there is also a longer-term problem - the quantities of vanadium added to steel alloys are so tiny that it is not economic to recover it from the steel at the end of its life. So for the battery market, that vanadium is effectively lost forever. But Mr Voigt remains optimistic. With demand on an upward trend, American Vanadium is not the only one trying to fill the gap. 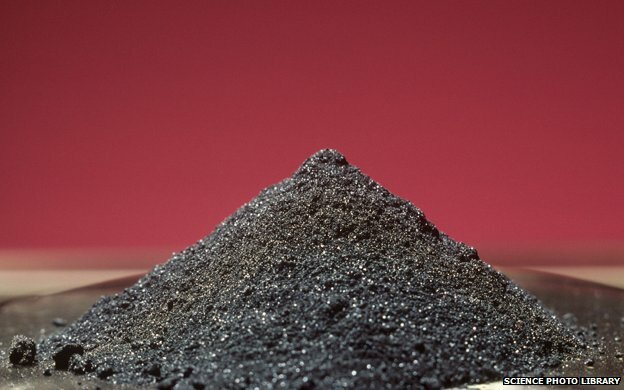 For example, rival battery-maker Imergy has developed a cheap ways of producing vanadium electrolyte from iron ore slag and the fine ash produced by coal-burning. 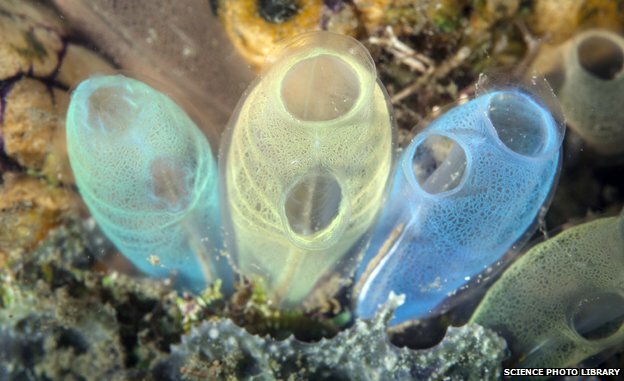 And in the very long run, perhaps we will harvest vanadium from sea squirts - there are plenty of them in the Pacific.